Does trying to get to know your donors feel like stumbling around in the dark? Does getting an understanding of your donor’s wealth capacity feel like a never-ending uphill battle? Does finding out whether your donor supports organizations like yours feel like running a marathon with two left shoes? Does constantly hearing these analogies annoy you? Okay, we’ll stop. But seriously, if you answered yes to any of the questions above, it’s time for you and your wealth screening methods to be reassessed. Like any relationship at a crossroads, perhaps all you need is a bit of reflection and an honest conversation. Or maybe, in fact, you need a new screening method. Thankfully, we have some new strategies that might help. We put together a list of common screening challenges and broke down ways to overcome them. Be forewarned though, the conclusion you come to may be tough to hear. You and your system have been through a lot together. We get it. Though change is tough, sometimes it’s for the better. I know what you’re thinking – time-consuming is a relative term. How are we supposed to know if it’s too time-consuming? A general rule of thumb is if you go through the work to prepare a list of prospects to screen and then have to wait days, weeks, or even months to see results, it’s too time-consuming. Your event may have passed, you have to be prepared months in advance of when you need the screening results, and your development team may be wondering why it’s taking so long to action the findings. 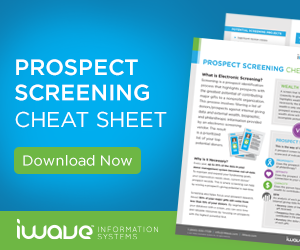 In order to screen more prospects and get their scores in front of your development team faster, you need a screening tool that’s quick. Regardless if you screen every day or every week, the faster your system, the more effective your fundraising team will be. Look for a system that returns screening results and scores in a matter of minutes (rather than days or weeks). With this method, daily screening is possible (and encouraged!). Think how happy the major gift officers will be when you get them results days and weeks faster than you were previously able to. Happy fundraising team, happy life? Not quite, but you get the picture. Have you ever looked at a prospect score and thought ’that can’t be correct, it should be much higher than that’. If so, you might need to reevaluate your screening tool. When prospect scores are the baseline for fundraising, understanding where they come and what factors affect them is critical. At any time, you (or any prospect researcher using your platform) must be able to dive into scores and validate how they were derived. Without this, you or your gift officer may be asking for a gift that is way too large (embarrassing!) or leaving money on the table. 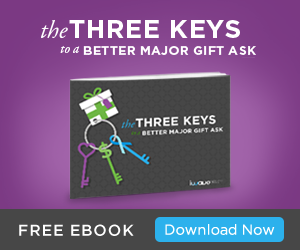 It comes down to having confidence in the data you’re basing gift asks on. For example, if you’re screening a very common name, the ability to ’lift up the hood’ and see all the records that were used to calculate a score cannot be overlooked. Whether it’s professional information, real estate holdings, or stock transactions, it’s easier to trust the results if you can verify the data. I bet you’re now asking, ‘How can I avoid this relationship pitfall’? Well, there are products that offer this full transparency. For example, iWave offers completely customizable and transparent prospect scores. It gives users the tools to customize the Confidence of Match, delete records that were improperly matched to an individual, and then update scores and profiles. In case you’re wondering, Confidence of Match means you control how wide you ‘cast the net’ when searching for information about donors. For example, if you want to pull in all possible information on your donor and then decide for yourself whether it is a gift given by your “Jane Smith”, set your Confidence of Match to a lower number and you’ll bring back more records. From here, you’re able to review the results and easily remove any records that don’t align with your prospect. Boom! Accurate data and a match made in heaven. The days of capacity being the only important factor in finding a prospective donor are behind us. An ideal donor is now not only someone who has the capacity to give but also who is philanthropic and connected to your cause. If you’re screening tool only provides results based on a prospects wealth capacity, rough waters are ahead. Long before comprehensive prospect screening tools, nonprofits would focus solely on a prospective donors wealth capacity to gauge their propensity to give. This information predominantly came from real estate information, as it was the easiest to obtain and provided fairly accurate insight into their wealth. 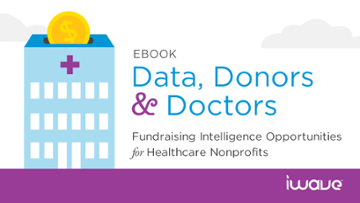 Fast forward to 2018 and nonprofits now have access to comprehensive tools that look at the ’entire’ donor rather than just their wealth. Screening software now compiles information on a prospect’s propensity(frequency) to give and their affinity(linkage) towards your cause. For example, with an old screening platform, you may identify a prospect who owns a $500,000 property. Traditional methods would indicate that this is a great prospective donor who is worth pursuing. This is fine until your fundraising team makes an ask and you learn the prospect has never made a donation in their life (and never plans to). Conversely, a screening platform may suggest you overlook a prospect without property holdings even though a closer look at their past charitable giving may indicate they have a strong affinity to your organization’s cause and are a frequent contributor to numerous local nonprofits. You won’t worry about this problem with new screening platforms as they aggregate multiple layers of data to ensure your team is looking at the full picture of prospective donors. 4. The results assume all nonprofits are the same size and share the same fundraising goals. No two nonprofits are the same and neither are their fundraising goals. A major gift to you may be a small gift to another. Or while you’re looking for donors with a passion for healthcare, another nonprofit may be looking for people passionate about the environment. 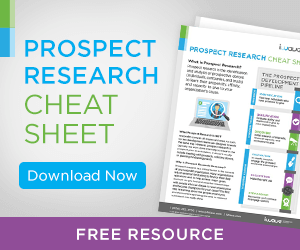 The ability to customize screening and score parameters may be the difference between identifying a perfect major gift prospect and spending many hours searching hundreds of prospects who are outside of your ideal donor persona. For example, depending on your organization, you may place a different level of importance on the propensity, affinity, or capacity of a donor. Universities and colleges might focus more heavily on a donor’s capacity. Meanwhile, a local animal shelter might prefer donor prospects with a high affinity to their cause. Likewise, whereas a university may feel a major gift is any gift over $50,000, a local animal shelter may categorize a major gift as over $1,000! 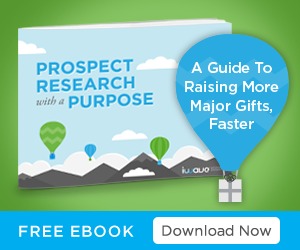 Regardless of how you define a major gift, your prospect research tool should be able to find individuals who match that. And if it doesn’t, this might be causing relationship troubles with your prospect research process. If you’re looking for this level of customization, you could try a tool like iWave. At any time, you can manually modify and change the prospect scoring parameters to fit your present needs. The ability to customize the propensity, affinity, and capacity of prospects allows you to tailor donor searches to your organization. And the best part? You can continually reset and re-screen prospects depending on how your organization’s needs shift and change. This customizable and transparent feature ensures that your data stays in line with your prospect research goals. What do you think? 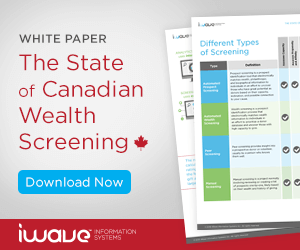 Has your wealth screening method been limiting your fundraising and research success? Have you decided that your screening methods could be more comprehensive?. What’s next? Before putting yourself back on the market, we recommend taking some time for yourself to understand what you’re really looking for. Might we recommend iWave? Curious to see if it might be a match? Us too. Let’s chat. About the author: Patrick Bryden is iWave’s Marketing Manager. From creating pitch decks for Nike and Mattel to starting his own water bottle company, Patrick brings over five years of marketing experience to iWave. With a strong interest in creative problem solving and finding efficiencies in everyday processes, Patrick’s never met a challenge he hasn’t liked.